I took the day off today, to spend my birthday relaxed and by myself. But my hubby took me for lunch, I then went to a spa and finished it off with my highlight of every Wednesday, our Grace Notes weekly practice. We had dim sum lunch in Grand Imperial Restaurant in Sunway Pinnacle. We ordered the "basics" in dim sum: har gau (prawn dumplings), siu mai (pork dumplings) and ham dan sau yuk juk (salted egg and pork porridge). We also ordered the restaurant's specialty, chui pei bao (crispy skin barbecue pork bun). 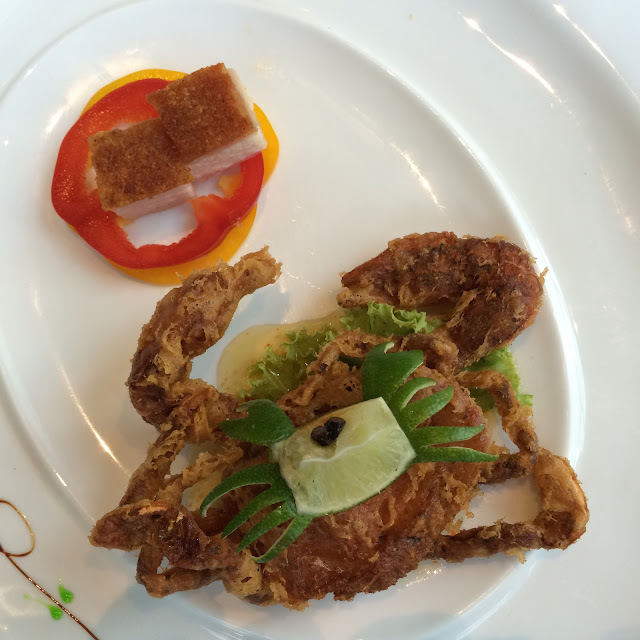 But the chef also made us two surprise special dishes: deep fried soft shell crab, and pork and peanut soup. They were absolutely delicious. A late happy birthday to you ,Pearlie. I think you are giving me the name of a dish we had at a restaurant that has now closed down. It was a dough parcel filled with small cubed pork meat and a very little sauce. We enjoyed it very much. 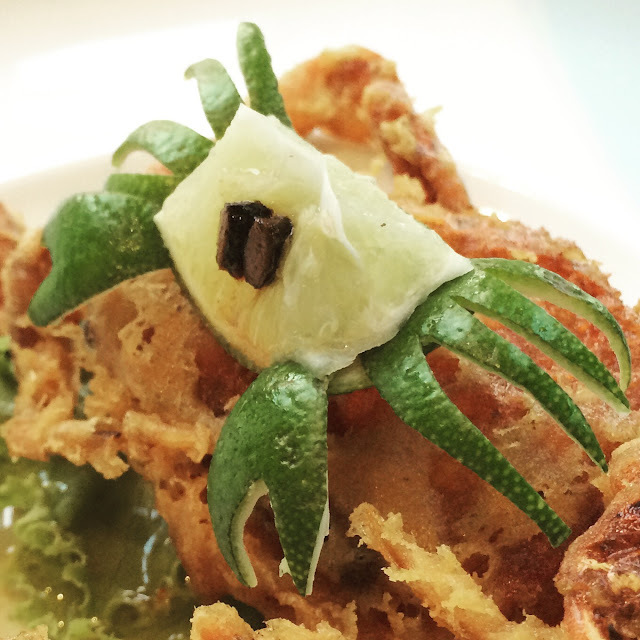 Yea, you must be referring to the Siu Mai. 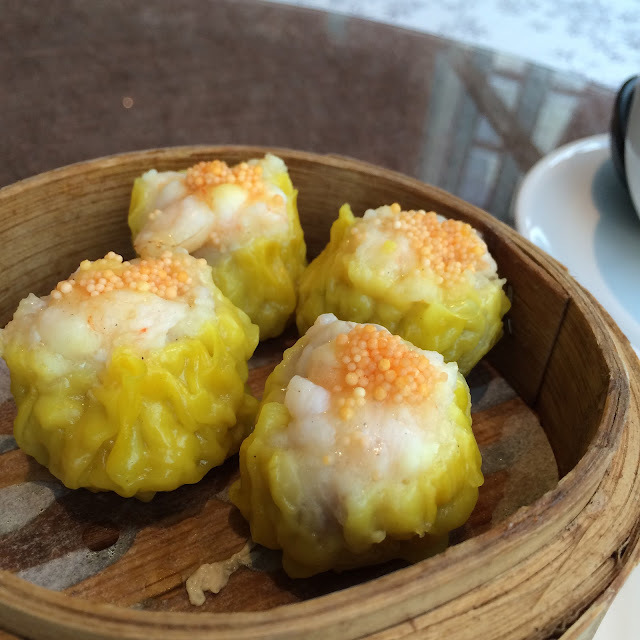 A very basic dish in the array of food in the Dim Sum category.